A Desiccant dehumidifier was placed to process moist air across an absorbing material. The owner was surprised in how quickly and completely we were able to clean and dry out their kitchen. 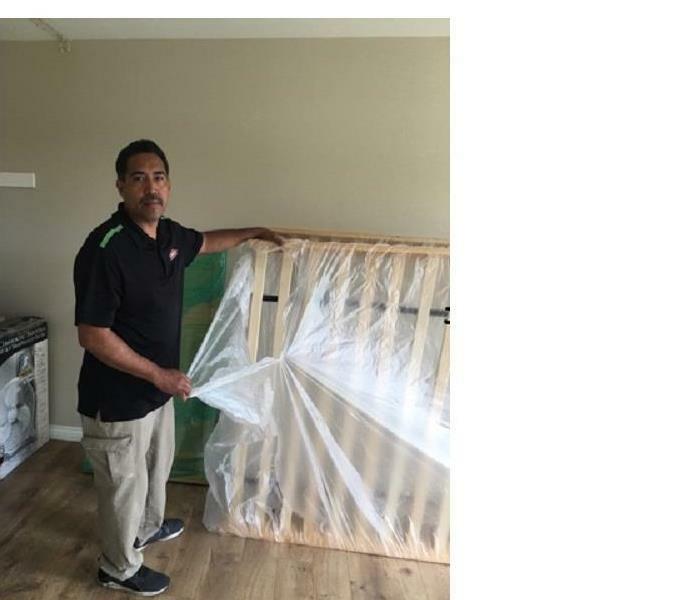 Jose one of our technicians is best known for our pack out and pack in jobs. With assistance Jose can lead anyone to a job that needs to get done. Jose is on point when wrapping and packing boxes that customers were impressed when they went to open boxes. Owners can not believe how quickly and completely Jose is able to clean and pack. Great job Jose. 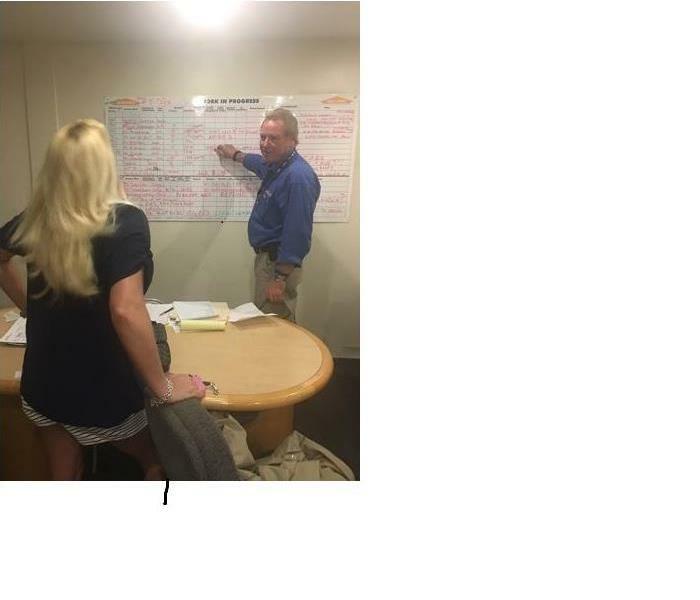 Office manager Amanda and boss Chuck are going over the job board. As you can tell we are extremely busy due to the rain we had. We got over 20 jobs come in within 2 days. Amanda our office manager is teaching Daniel our lead technician on how to do an upload on dry books. With a lot of patience Daniel is on his way to the top. Great job for being a team leader. 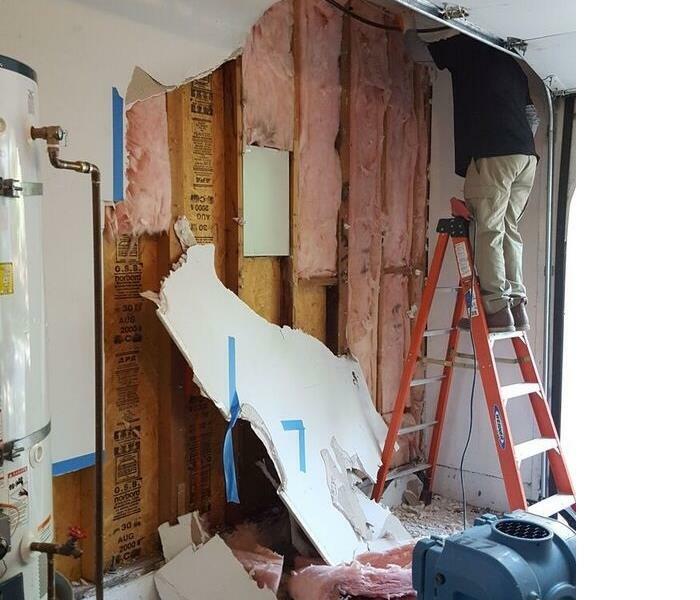 Jose had to remove the dry wall because the insulation was wet and also to dry the sheer wall. This was due to the rain that caused several damages through out the house. 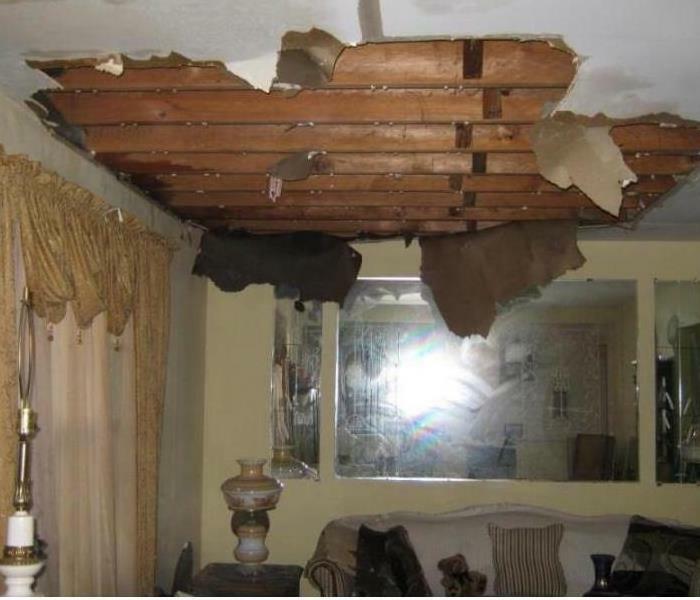 Water damage can cause headaches for homeowners, both immediately after the damage occurs and in the long run. From floods to leaky faucets, water damage is a serious pain, and can cause major health and safety issues. 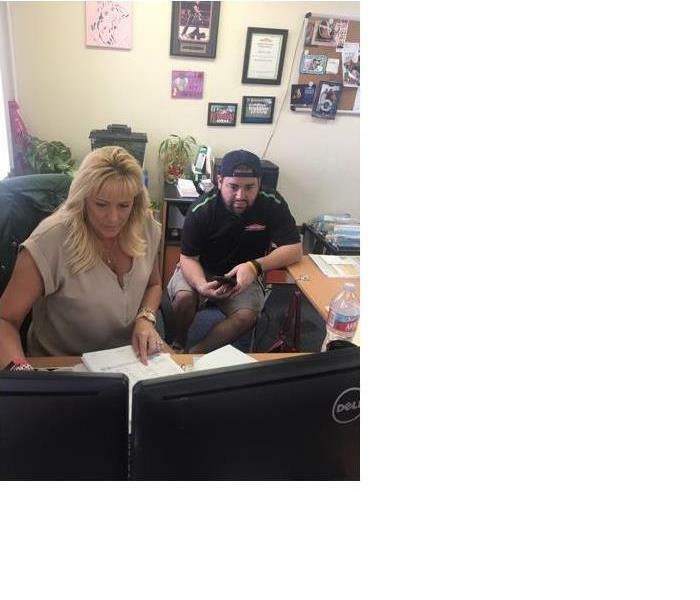 SERVPRO of El Cajon employees are IICRC certified and is professional trained. They move quickly and make sure you are informed with every steps. SERVPRO will come in and make the disaster "Like it never even happened." 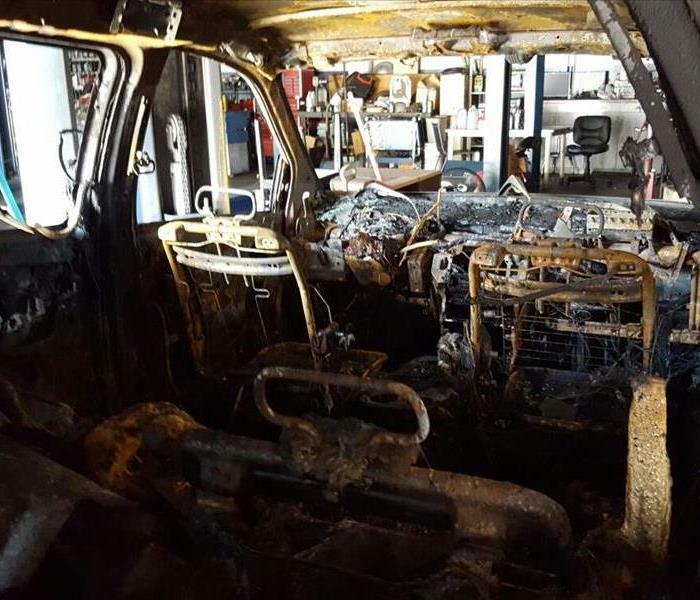 This was the aftermath of a car that caught on fire at a transmission repair shop when we arrived on the scene. 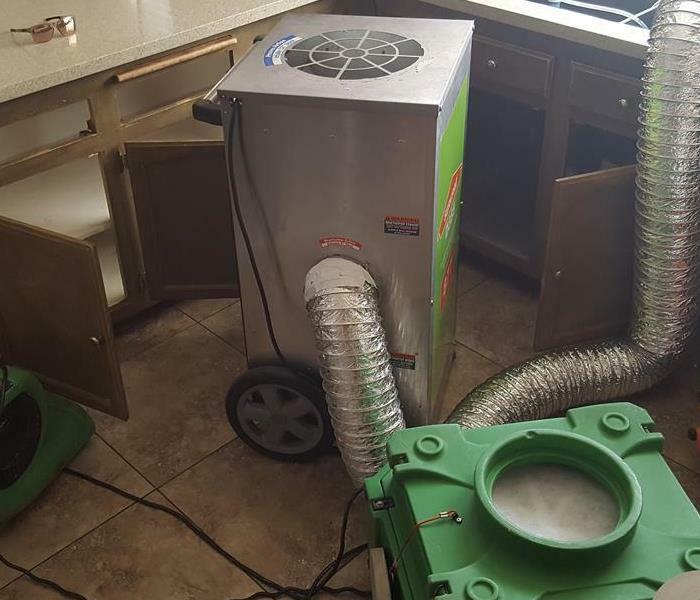 SERVPRO of El Cajon came in, handled the loss "Like it never even happened." Louisiana resulted in an unfortunate flooding that submerged thousands of houses and businesses. Louisiana has overcome the worse natural disaster to strike the United States since Hurricane Sandy four years ago. 13 deaths have been reported as a result of the flooding. 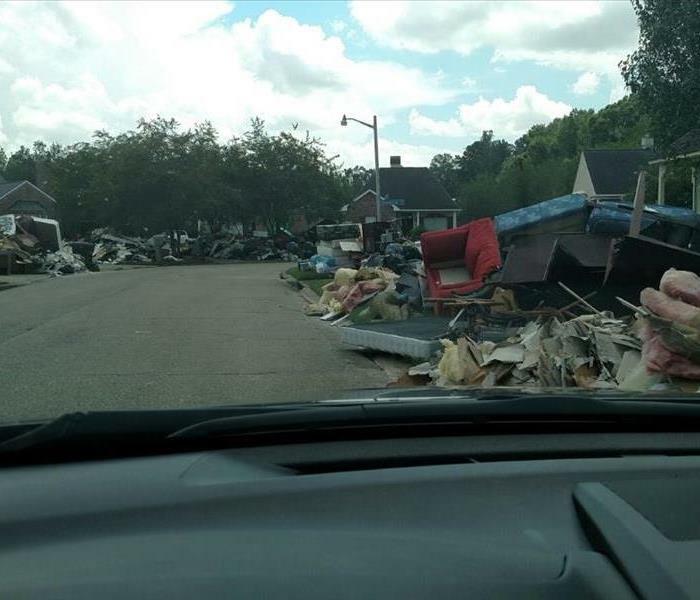 This was the aftermath of the Louisiana Flood when we arrived on scene. We are here for the dry out and cleanup, our crew worked long and hard hours for several days, before they are done they. We'll make this disaster "Like it never even happened."